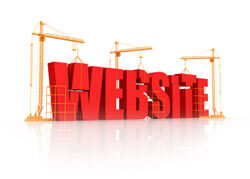 Your web site is your storefront to promote your services and products. Psychology experts tell us people make decisions about other people within 3 seconds of meeting them for the first time. Your web site visitor gives you an average of 7 seconds before they decide to stay at your site or click away. What happens in those precious 7 seconds? Will this web site provide me the information I’m looking for? Will it be easy to find the information I need? Does the web site connect with my expectations? Most of your visitors will enter your site through your home page; so much attention to the design of a site is focused on this page. However, your website design should be consistent throughout the site so a visitor quickly learns where everything is wherever they are at your site. A website design and implementation should support the marketing of your business, but web site designers do not understand your business or local search optimization. So we see local business websites perform poorly in local search and not get found by a buyer when searching for their service or product. New England Local Marketing understands the critical link between web site design and Local Search Optimization and how the work we do has to be in lock-step with the web design. IMPORTANT: Unlike other Internet Marketing agencies the web site we create for you… you own – whether you hire us for other services or not. The same goes for all content and accounts at various social media sites we create for you. You own the copyright for this content not us! If you ever decide one day you don’t need us anymore then everything we’ve created for you stays in place. Make sure whoever you hire to create content for you – you have clear and “no strings attached” ownership of the work!